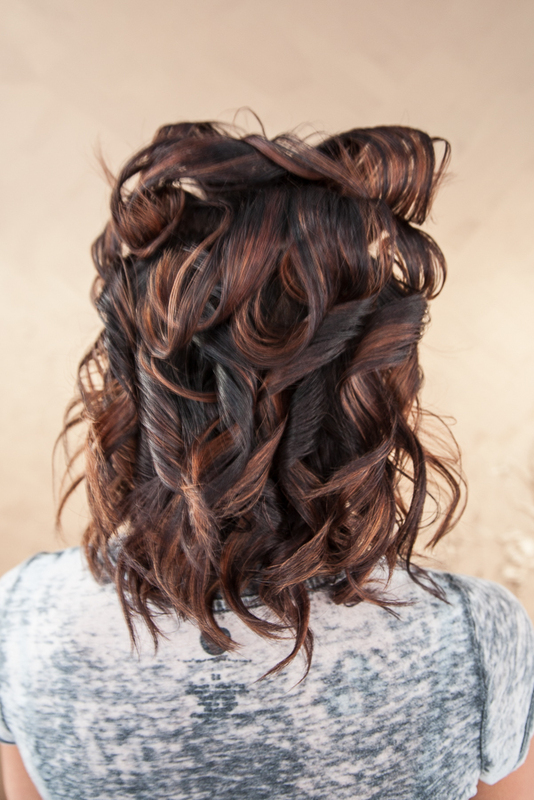 Start by adding flatiron ribbon curls to the hair, turn the flatiron up as you go. When doing these curls, start at the nape of the neck and clip the rest of the hair out of the way. Take 2inx2in sections and work your way up. 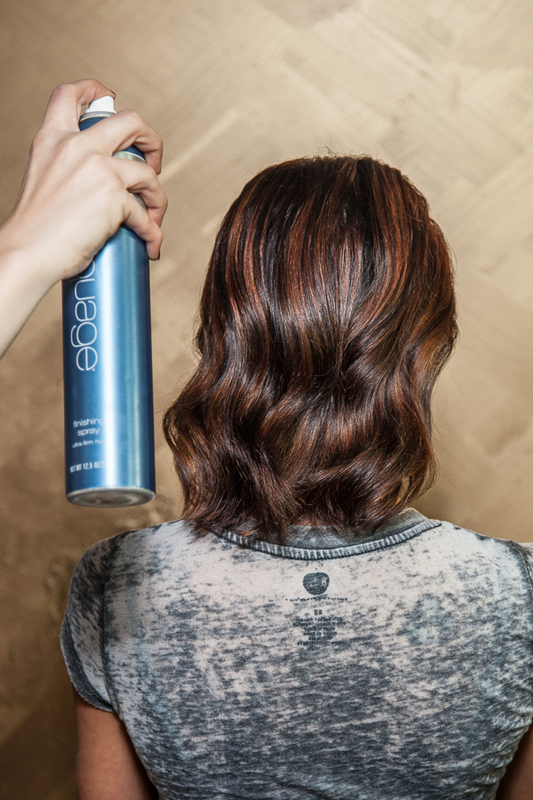 Use Aquage Working Spray with the flatiron to hold in the curls. On the top section of the hair, do the flat iron curls the same as before, only turning the flat iron under instead of up. This will give you more volume on the top. 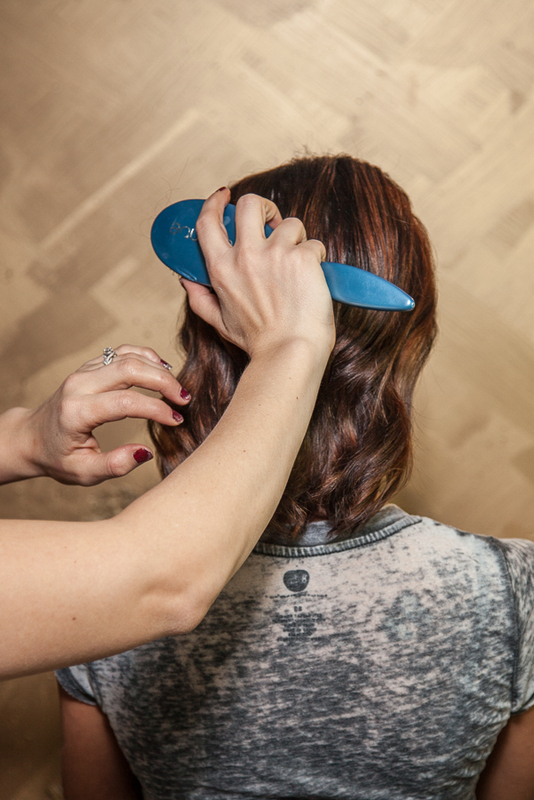 Once the curls have cooled down, brush through the hair. I like the Aquage Smoothing Brush because it just softens and shines the surface without flattening the hair. After you have brushed through the hair, take a firm but flexible hairspray and spray root to ends, 8-10 inches away to calm down any fly-aways, give shine and strength to the hair. I used Aquage Finishing Spray. Starting on one side of the hair, grab a section of the hair and start twisting. As you twist, organically add more hair to the twist, just from the bottom. When I say organically, I mean don't force it and don't section from the roots. This will avoid part lines showing. 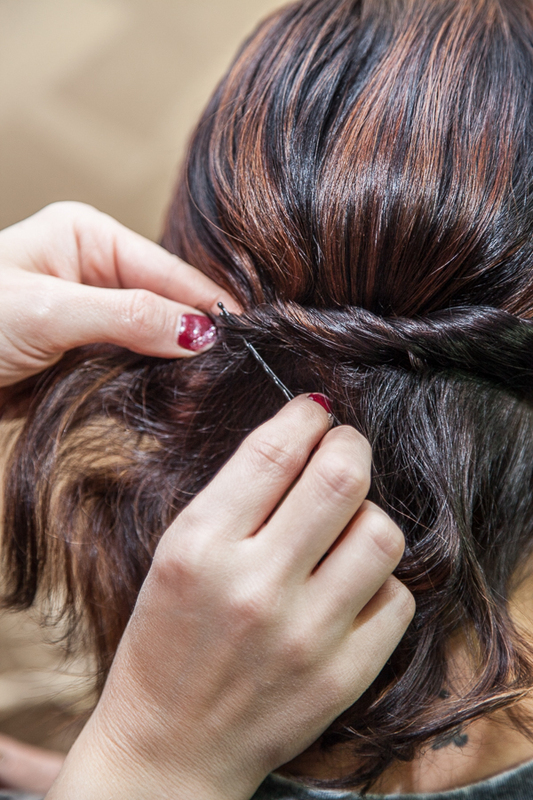 When you finish twisting at the other side of the head, take a bobby pin, without opening it, and slide it through the bottom part of the twist. Flip the bobby pin up and press it in and down at an angle. Take another bobby pin through another section of the twist and press it in and up at the opposite angle of the first one. Underneath all the hair, this is what the bobby pins should look like. When doing it like this, you hide the bobby pins and the section stays secure. 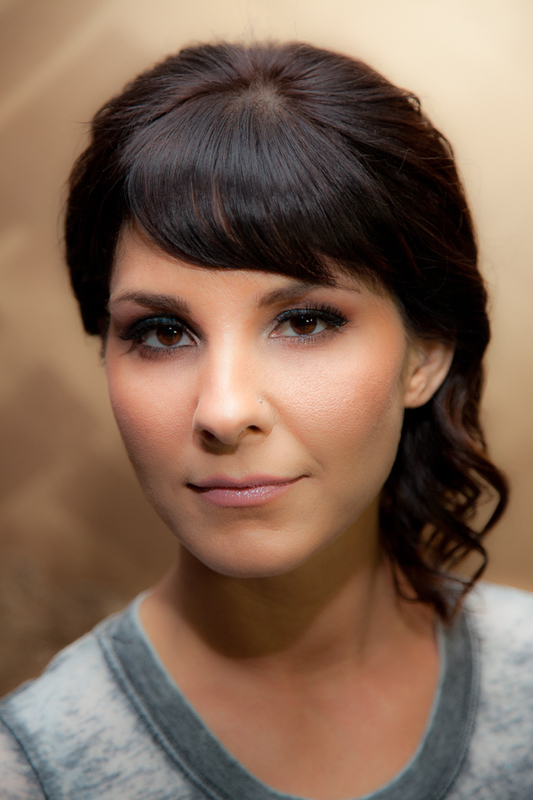 Very carefully, pull up on the top of the hair to create volume and movement. I constantly spray the Finishing Spray while I'm working to make sure the hair is not too soft and keeps the shine. Repeat the same technique on the bottom section of the hair. 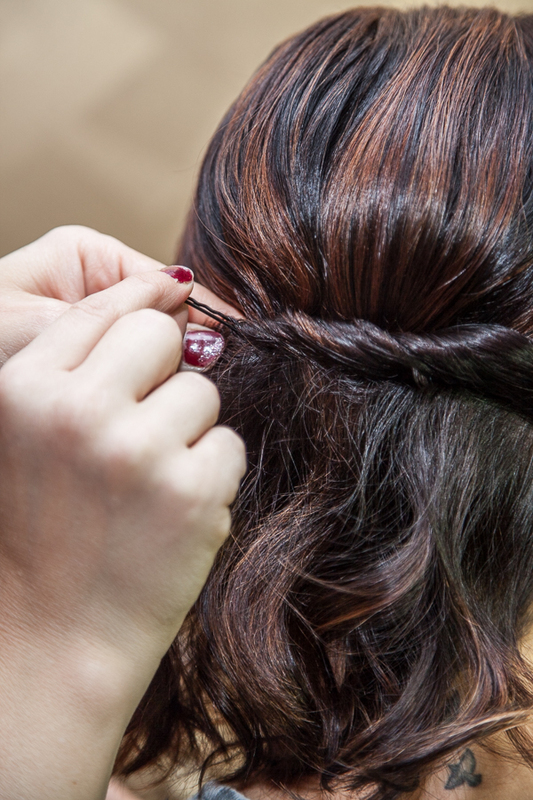 With a bobby pin, organically grab a small section of hair from the front to cover up the bobby pins in the back and blend the front section with the back. Push the pin into the X you made with the other two bobby pins and turn the pin towards the face to lock it in. 8-10 inches away, spray the hair all around to lock in. And here's your finished look.